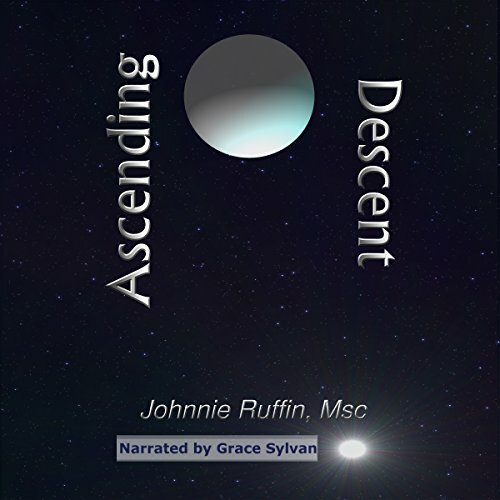 Ascending Descent is about a woman who shares her body and mind with an alien entity known as Sister Gin Dulina. As a Sister of the Immediate Blessings, Dulina has been reincarnated into many bodies, interrupting many lives with the ultimate goal of merging with their personalities and returning to her home planet to complete her mission. Tyla, scheduled for elimination after attempting to marry a Regent, is running for her life, but the more she is separated from the Regent, the more Gin Dulina merges. Meanwhile, the Regent refuses elimination, making his journey to the long-missing Council to appeal the decision and return to Tyla.